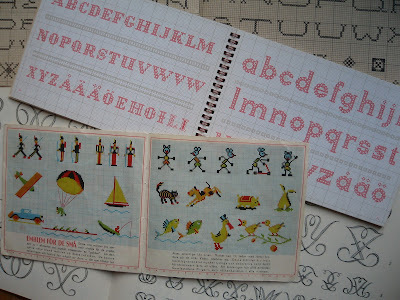 I have a few old Swedish stitching books, and they are really lovely. And instructive! 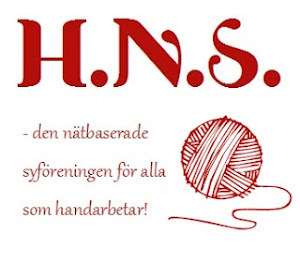 Some of them contain very detailed pictures of how to make the different kinds of stitches. Very good for me, since my stitching skills are somewhat limited to cross-stitching and buttonhole stitch. The letter design in Märkbok by Elsie Svennås (the book with the red letters) feels really modern and a fun fact is that this book, originally published in Swedish in the 60's, have been re-published in Japanese in 2010! It's hard to find in Sweden though, might I hope for a Swedish re-print? 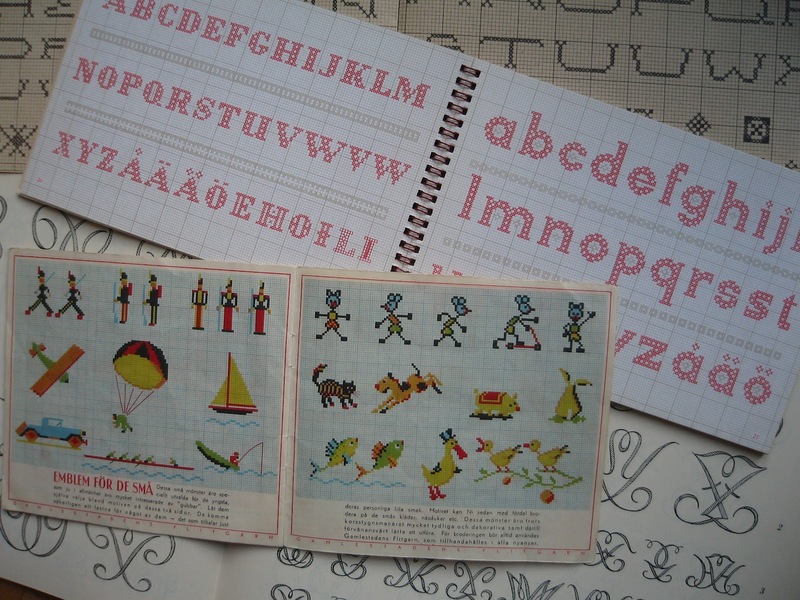 Hopefully I'll find Elsie's Märkbok II in a thrift store one day, it looks really interesting and even more modern. Look at the cover here. Then all I have to do is to decide what to embroider. A tote bag? Napkins? A skirt? Maybe I can find some inspiration at Karin's blog? She is so good and have such great ideas! But is a little bit more experienced than me, maybe... Well, I'm not that easily discouraged, more on my stitching ideas to come, alas. Summary in Swedish: Jag har en hoper märkböcker som jag verkligen gillar. Favoriten är nog Elsie Svennås, vars bokstäver känns moderna även idag. Och de små emblemen för barn är väl för söta?